In Louisiana, king cake is more than just dessert—it’s an entire season. From the Feast of the Epiphany on January 6 until Fat Tuesday (which falls on February 13 this year), these traditional Carnival treats can be found in nearly every bakery and grocery store in the state. 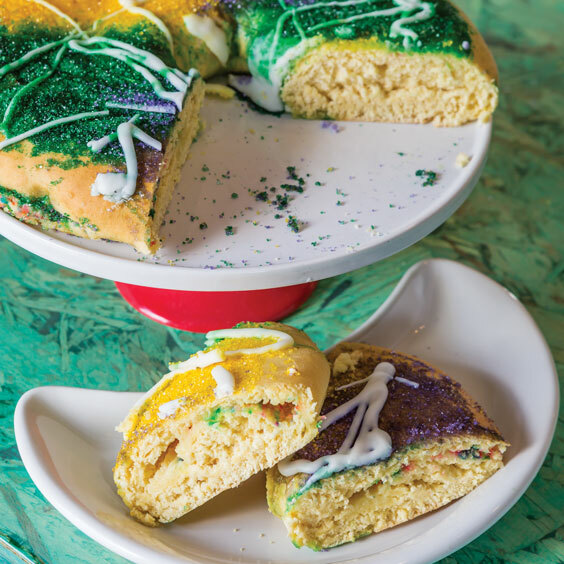 A standard New Orleans-style king cake consists of cinnamon-swirled brioche dough topped with icing and Mardi Gras-colored sugar or sprinkles: purple for justice, green for faith, and gold for power. A small plastic baby or other trinket is baked or placed into the cake, and the person who gets the piece with the baby is expected to provide the king cake for the next party. While the cinnamon-filled versions are most traditional, cream cheese and fruit fillings are common additions. What’s more, many bakers go outside the box with exciting flavors, like Lilah’s Bakery in Shreveport, which offers a maple bacon king cake, and Breads on Oak in New Orleans, which has started a new tradition with its alcohol-infused creations. Some bakeries also sell French king cakes, or galettes des rois, made with puff pastry and a decadent almond filling. From New Orleans to Cajun Country and beyond, we rounded up some of our favorite king cakes for you to try this Carnival season. Whether you’re craving a classic cinnamon king cake or want to try something new, these treats will make a sweet addition to your celebrations. For the past five years, Sean and Chamain O’Mahony have brought artisanal French loaves and vegan pastries to New Orleans’ Riverbend with their bakery, Breads on Oak. At their boulangerie, Sean and Chamain are committed to producing traditional French specialties in a healthy, environmentally friendly way. So, a few years ago, when they decided to introduce their line of king cakes, it was a no-brainer that the treats would be made with vegan ingredients. “There wasn’t a true vegan king cake, and so, I set out to develop one and try and come up with a recipe that would bring out the flavors and the textures that I wanted in a king cake,” says Sean, who honed his craft at the French Pastry School. All of the Breads on Oak king cakes are made with organic ingredients and are decorated with naturally colored sugar. Last year, the bakery offered four flavors—cinnamon, almond cream, persimmon pecan, and cream cheese. 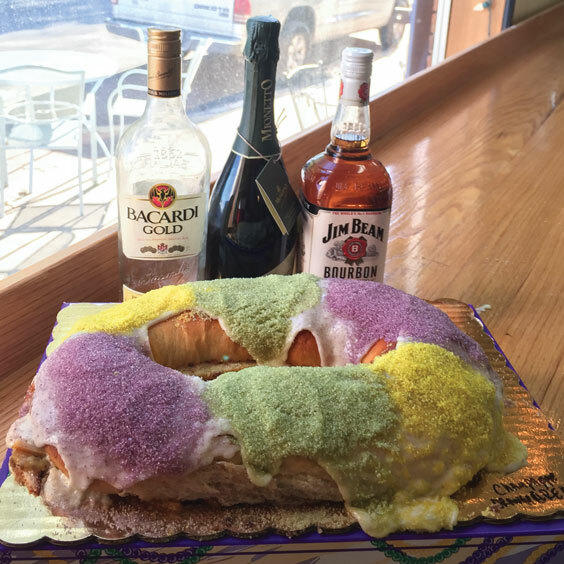 Breads on Oak also offers “adult” king cakes, which have alcohol infused into the fillings. Last year’s adult king cakes included bourbon tiramisù, champagne orange almond cream, bourbon apple cream cheese, and rum strawberry cream cheese. Their king cakes are available both in store and for shipping. For traditional French king cakes, or galettes des rois, La Boulangerie in Uptown New Orleans is one of your best bets. During Carnival season, the bakery and café, known for its artisan pastries and breads, sells more of these than any other king cake. It features beautifully browned and glazed puff pastry layers filled with frangipane, a dense almond paste. La Boulangerie also offers New Orleans-style king cakes, which are made with cinnamon roll-style brioche dough and come with a variety of fillings, including cinnamon, strawberry almond, and flourless chocolate cake. The finished cakes are smeared with cream cheese frosting and topped with sprinkles. In lieu of plastic king cake babies, La Boulangerie includes unique trinkets with each of their king cakes. 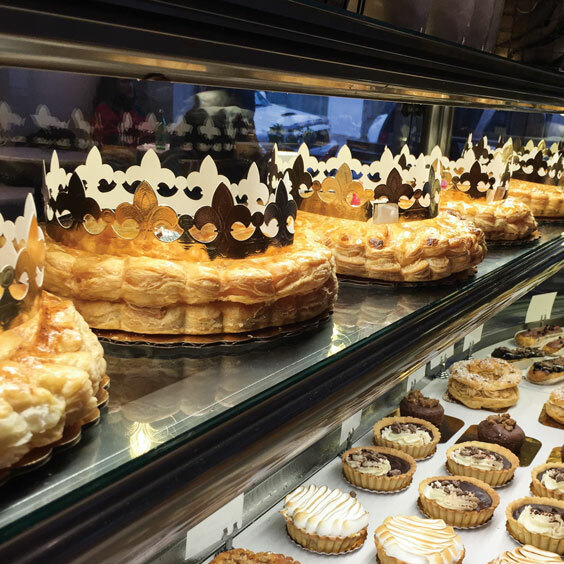 Their New Orleans king cakes come with plastic pig figurines (since the bakery is owned by pork-centric Link Restaurant Group), and each galette des rois is accompanied by a porcelain trinket and gold paper crown. Bywater Bakery opened just a year ago, but it has already made a name for itself as one of the best places to get king cakes in New Orleans. 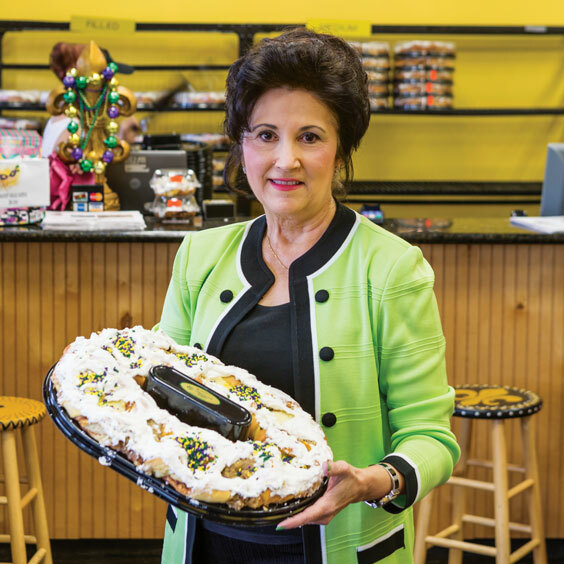 That fact should come as no surprise since owner Chaya Conrad was previously the bakery director for Rouse’s Supermarkets, where she oversaw the production of hundreds of thousands of king cakes each year. Before working at Rouse’s, Chaya worked for Whole Foods, where she created the store’s popular Chantilly Cake. When it was time to develop her king cake for Bywater Bakery, Chaya knew that she wanted to use a brioche dough, but she decided that she wanted to use an “ooey gooey butter smear” in place of a traditional cinnamon filling. Last year, Bywater Bakery offered eight versions with scratch-made fillings, such as Creole cream cheese, Cajun bouille custard, and berry Chantilly. For the 2018 Carnival season, the bakery plans to introduce a rotating flavor of the week, and it will continue to offer curbside pickup on Fridays. Every year during Carnival season, Randazzo’s Camellia City Bakery turns out thousands of king cakes, all made by hand. Owner Tricia Randazzo-Zornes says that this hands-on approach was emphasized by her father, who was one of the owners of the Randazzo family’s original bakery in Chalmette. Tricia and her husband, Louis Zornes, helped at that location for years before bringing the family recipe to Slidell in 1997. 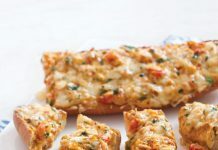 Their king cakes, which are made with a moist Danish dough and topped with a generous smear of white icing and sprinkles, are available in a variety of fillings and sizes. While cinnamon is the most popular flavor, cream cheese and fruit-filled versions are a close second. Apple, strawberry, pineapple, blueberry, and lemon are just a few options the bakery offers. While king cakes are available in store, Randazzo’s Camellia City Bakery also ships them all over the world. Tricia says when she hears how happy customers are with her cakes, or how it brings them a little piece of home, it makes all the hard work worth it. 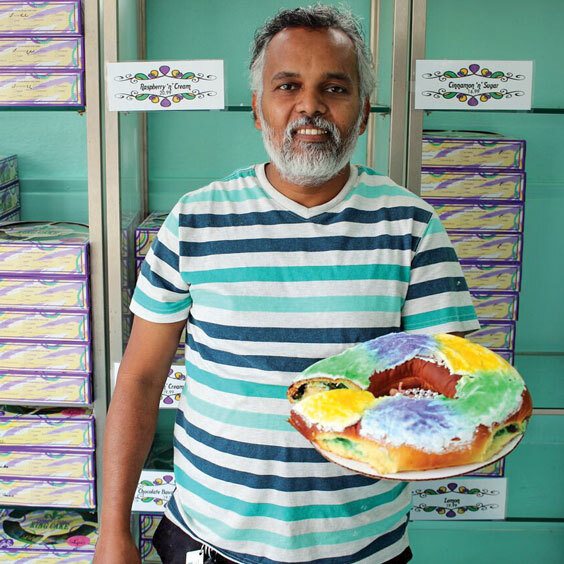 When Lilah’s Bakery first opened in Shreveport nine years ago, owner and pastry chef Sopan Tike had never heard of king cake. Sopan grew up in India, where he learned his trade while working for a five-star hotel group. Today, the mom and pop bakery specializes in king cakes, which are made fresh daily during Carnival season and for holidays like Halloween and Christmas. Lilah’s offers king cakes in three sizes and 22 different flavors, including cinnamon and cream cheese, pralines and cream, and Black Forest. 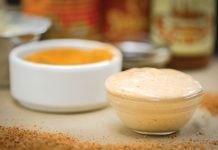 They even offer a sweet and savory maple bacon flavor, a boudin version with bacon and cheese, and a gluten-free variety. Sopan also takes custom requests every now and then. Sopan and his wife, Lisa, moved their bakery to Centenary Boulevard a few years ago, and now, they open daily during Carnival season. Their king cakes are available at the bakery as well as various retail locations throughout the Shreveport-Bossier area. They also ship their king cakes all over the country, even to New Orleans, where they sent a few hundred king cakes last year. At Champagne’s Marche in Leonville, third-generation owner Richard Champagne and his wife, Angela, turn out some of the best king cakes in Cajun Country. 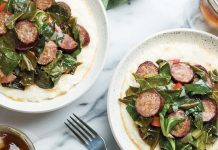 The supermarket, which Richard’s grandfather opened in 1926, is well known for its smoked sausage and boudin, but its king cakes have gained a solid following since the Champagnes introduced them in 2000. Richard’s mother took a king cake baking class and started making them to sell at the store. The king cakes were so popular that they decided to build a bakery in the store, and today, Champagne’s Marche sells about 3,500 king cakes a year. The dough is made in the traditional cinnamon roll style, giving it a light yet moist texture. 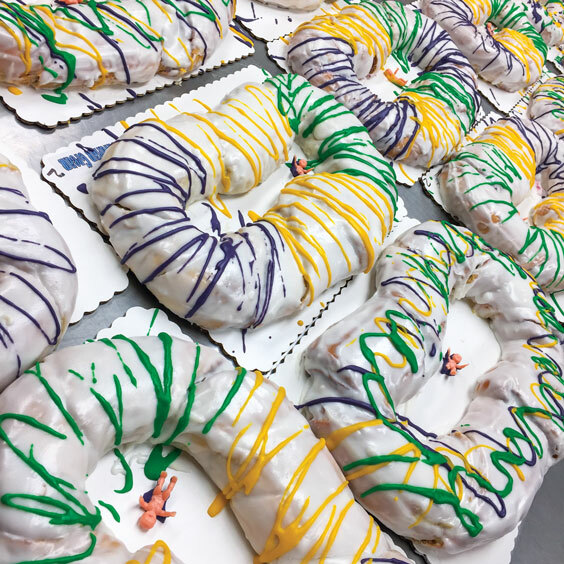 The king cakes, which are only available for pickup at the store, are finished with a coating of white icing and purple, green, and yellow drizzles. Champagne’s Marche offers 18 different flavors, including Bavarian cream, amaretto pecan, strawberry cream cheese, and pecan praline.